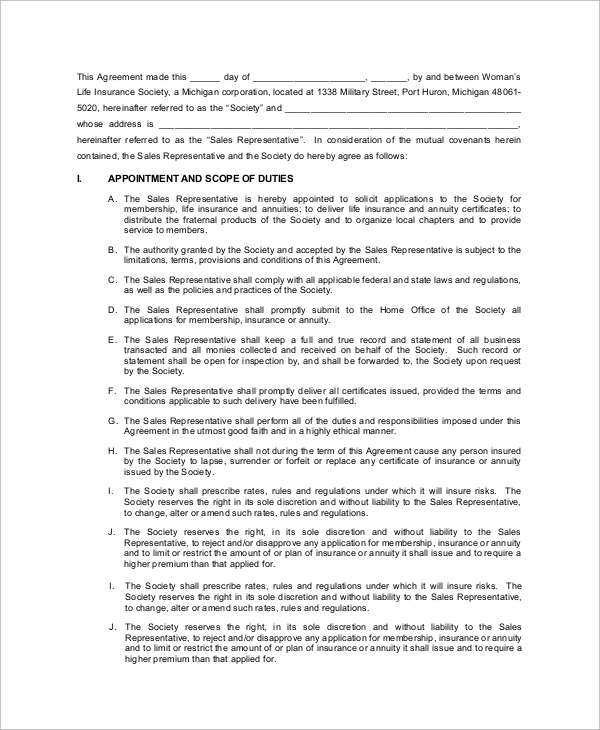 A sales contract is an agreement between a buyer and seller covering the sales and delivery of goods, securities, and other personal property, under certain terms and conditions. 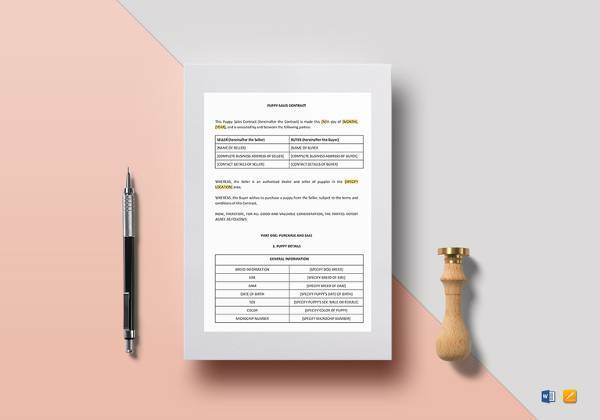 In this legal Sample Contract, services that are the subject of exchange for an agreed upon value of money, or money-equivalent is paid for or promised to be paid for, in exchange for the services. 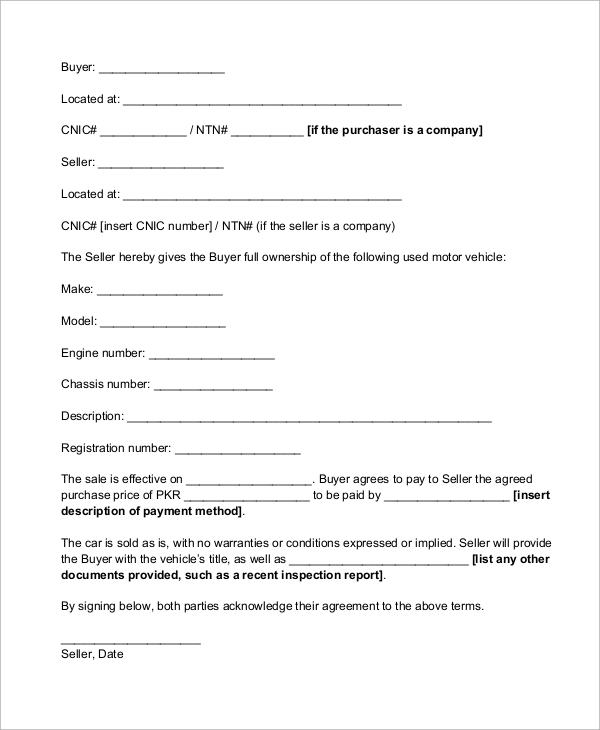 It is also called agreement of sale, contract for sale, or sale agreement. 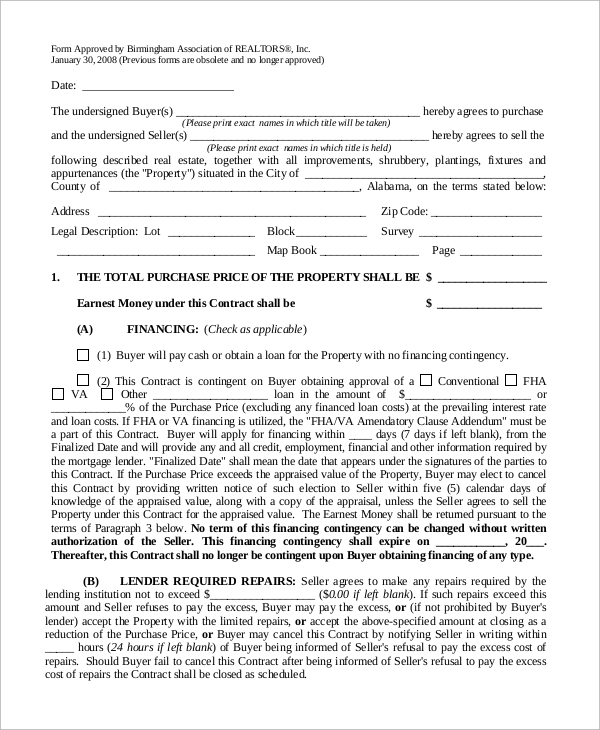 This provides details about the buyer and the seller, date of transaction and price for the same. It also provides details about insurance, survey, proposition, condition of estate and warranty. 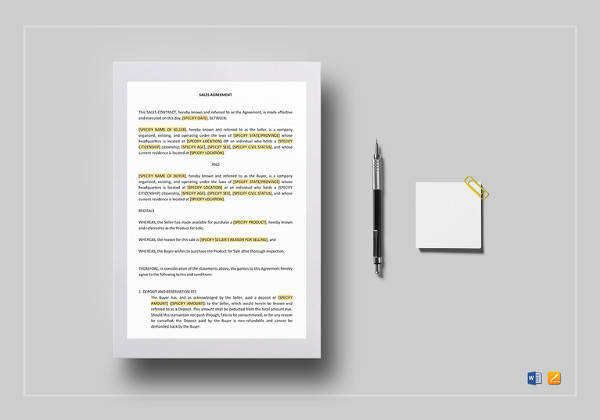 It defines the scope of duties, privacy, assigned territory and limitations, including licensing, compensation, etc. 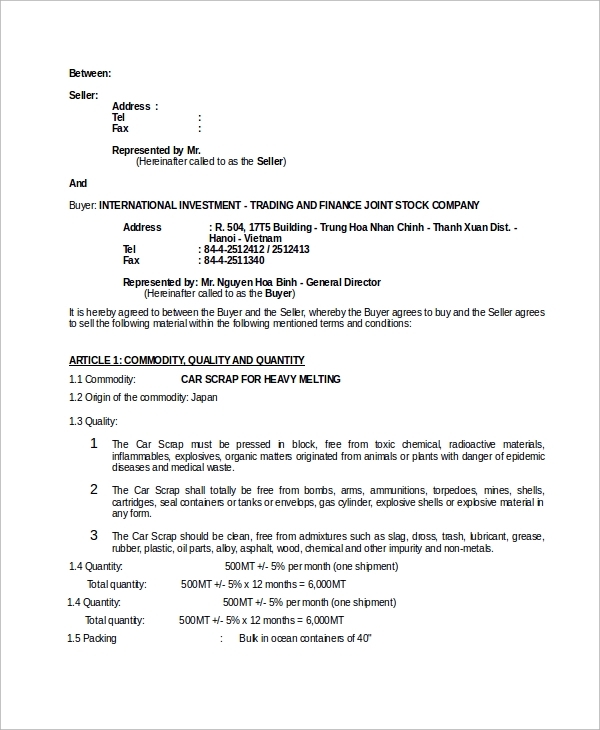 It also provides details about the sales representative, the day of the agreement, and the organization. 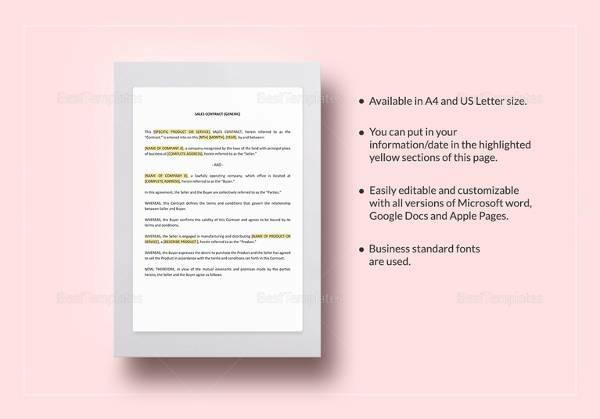 It provides information about the supplier and the sales agency defining territory, products, services, terms, dealing and termination. It describes laws, modification, and authenticity. It also describes commissions and payment. 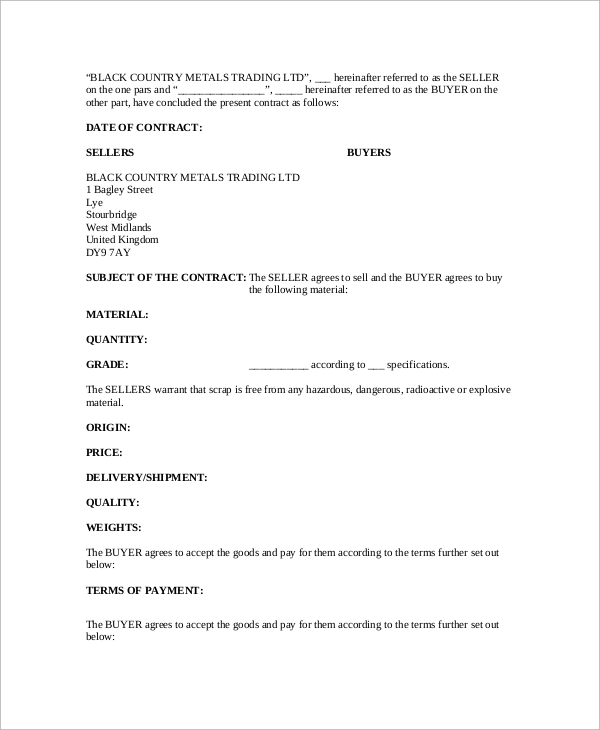 You can also see the Sample Business Contracts. 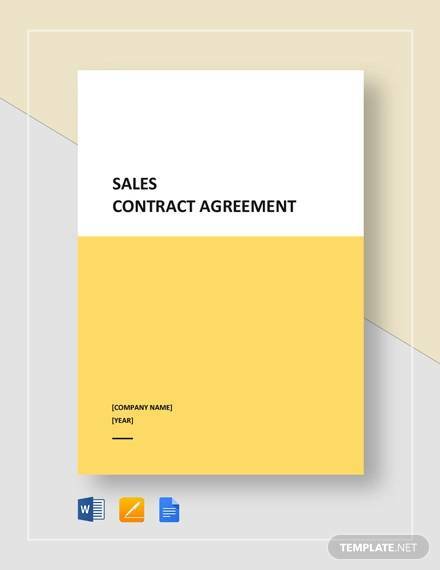 What are the Benefits of Sales Contract? 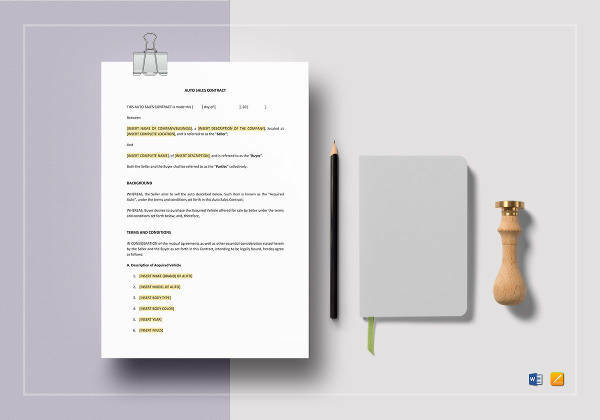 A seller receives many benefits from contracts of deeds, like a large pool of buyers, quick sales, higher sales price, higher payment, higher return, minimal closing costs, no bank delays, etc. The buyer is responsible for repairs and paying property taxes and insurance. The buyer, on the other hand, gets security, and does not have to answer the owner at every point, and has an independent life. In the case of sales of good Sample Sales Contract, or service providing, both parties are benefited. The supplier has a constant stream of business for the period of the contract, and the consumer too has a constant supply. 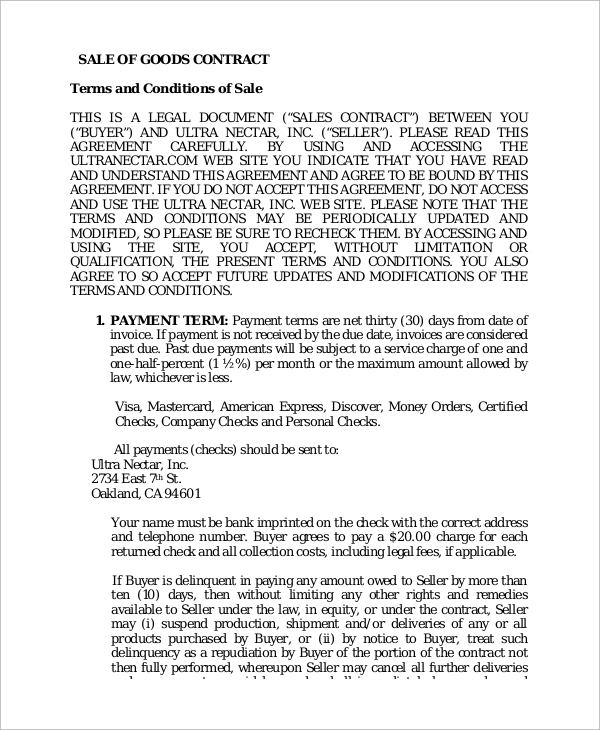 It provides details on terms and conditions for payments, prices, shipments, risks, etc. 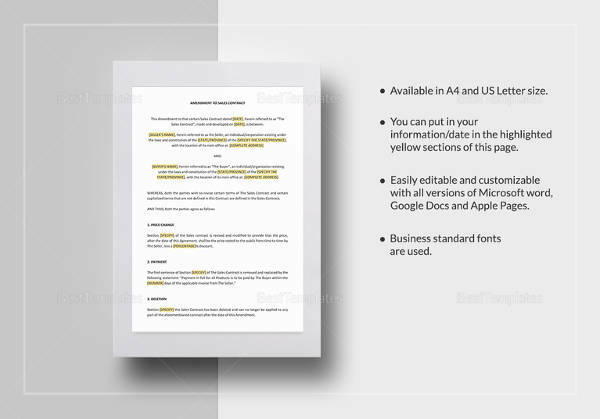 It also describes cancellations, rights of inspection, return policy, and warranty. Limitation and laws are also described. 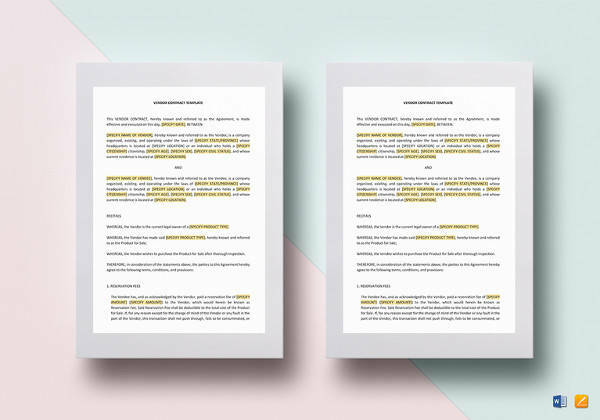 You can also see the Sample Sales Employment Agreements. 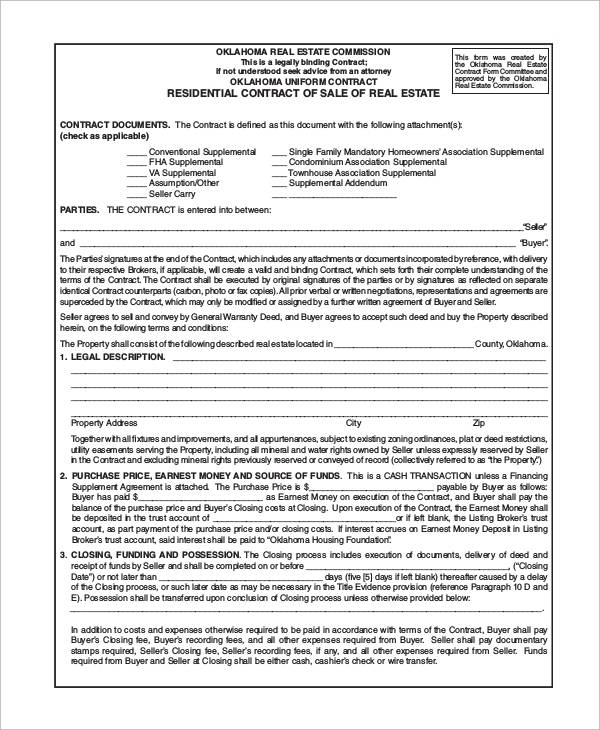 It is a residential contract for a sale of real estate providing a legal description of the property, price, funding and possession. It provides details about both parties, period, TRR, etc. Who can use a Sales Contact and why? 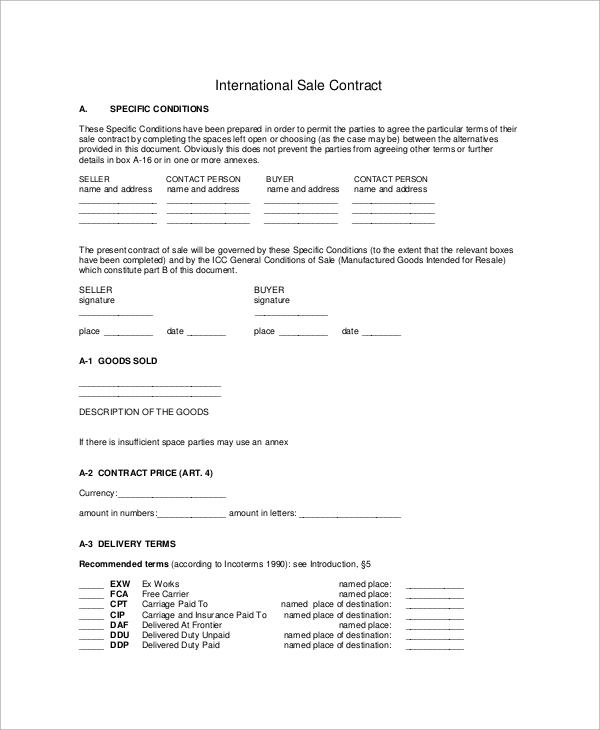 One can use a Sales contract for purchasing or selling goods, services, and real estate. 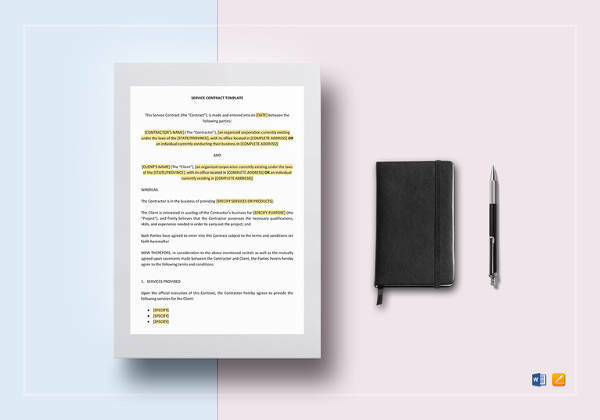 The parties in Sales Agreement are the buyers and the sellers, who agree upon payment for the services, sales contact provide a sense of security, and one can easily cancel contracts if needed to. The sales contracts are especially beneficial in case of real estate, and one can define terms and liabilities as per one’s wish. 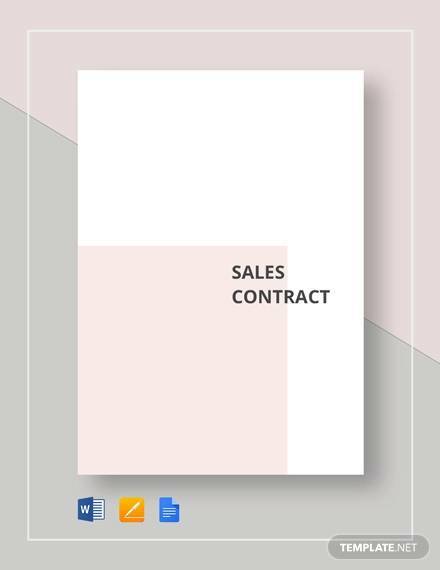 Sales contracts also help in incurring assured services without complications. One can define goods and services so as to ensure that the best is received. 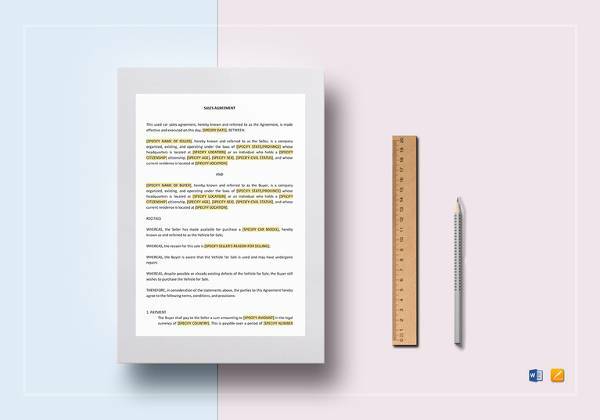 A sales contract can provide assured services or goods for a defined period and under specific conditions. Behaviour Contract Samples secure and assure both parties. One can also define terms according to their wish. 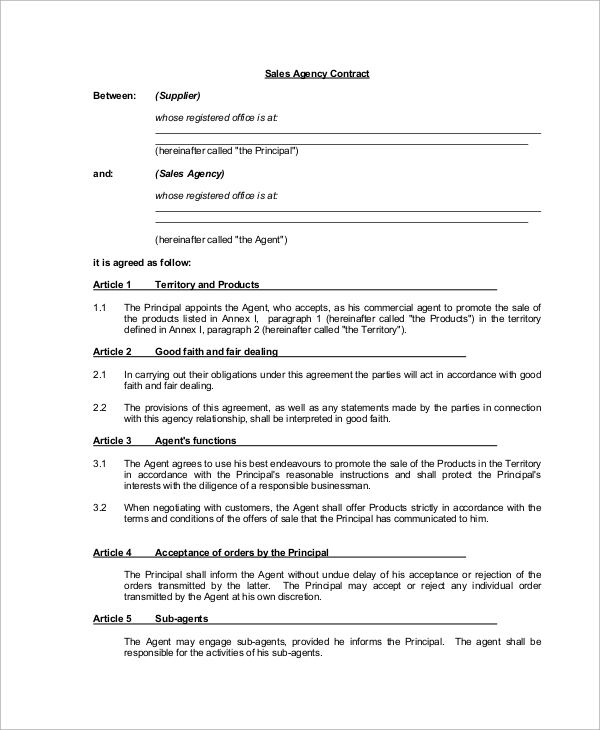 The contract assures both the buyer and the seller and is hence a win-win situation.